The bistro chair is lightweight and easy to manage. They comply with AS standards and are rated to 180kg, so very strong. Another benefit of the bistro chair hire option is that they stack up to 20 high. This makes storage convenient and space saving. Our folding chair hire service suits parties or events where the chairs may be moved around or stashed away during the event. 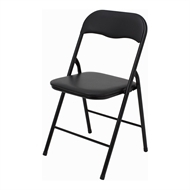 Our black folding chairs for hire are light weight with a strong frame. As part of our table and chair hire range, we also offer bar stools for hire. These black bar stools are an economical seating option from both a price and space saving point of view. They are also designed to suit our bar tables we hire. We have a range of kids chairs for hire that come in mixed colours and are easily stackable. We also hire kids height tables to match our chairs or by themselves for art or other uses. We hire event chairs all across Melbourne and the surrounding suburbs. Our chair hire service suits all occasions, from small parties through to large scale events. Our chair hire service includes a variety of simple plastic chairs, folding chair hire, bar stools, kids chair, wedding chair hire and more. 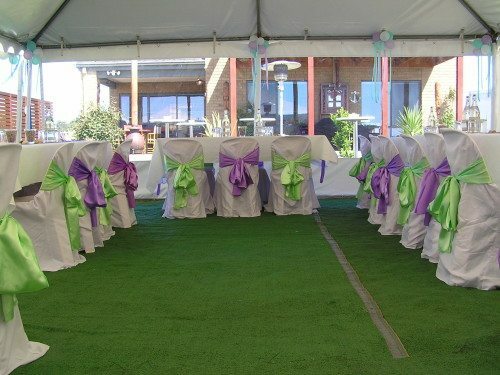 We can also offer chair covers and sashes for hire for parties too. Our chairs are often used at private parties at homes, school functions, staff training events, information sessions, corporate events, sports events, or at weddings in the park. They go everywhere with one thing in common, happy customers. Instant Party Hire has all your chair hire needs covered. Our staff will help you choose the most sensible package to meet your needs, and deliver all the chairs you need, along with anything else you need, such as table hire, crockery and cutlery, marquees and more. So if you are looking for a reliable chair hire service in Melbourne, call today for a free quote.